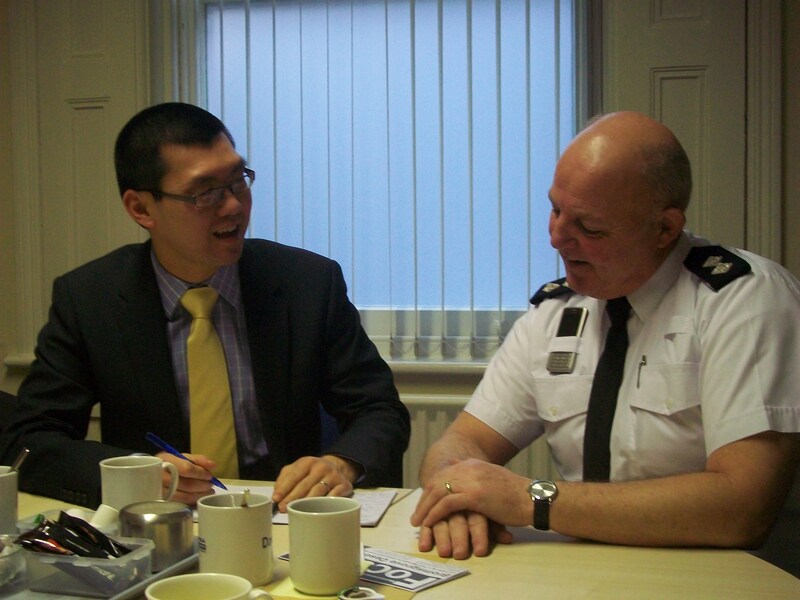 The work the police does with the local housing trust (BDHT), community groups, such as The Trunk and with the community via PACT (Partners and Communities Together) meetings. A lot of police work should obviously be on catching criminals but it was a good example of prevention and really getting to the causes of the problems. All solutions the Liberal Democrats back. The grey area of mentally unstable individuals and where the responsibility for them lie, it’s not always clear whether someone has a mental health issue or a personality disorder. The distinction is necessary, as with one definition the offender will be treated differently and by the NHS, otherwise its a police matter solely. The Liberal Democrats are proposing better mental health treatment on the NHS and those convicted of criminal offences. On my last point, after my meeting I mentioned the mental health grey area to a youth offender worker who agreed it was very complicated but also that the worse thing you can do to those who have mental health issues is to lock them up with no treatment. n.b. I should clarify that if an individual is classified as mentally ill then they are treated under the NHS, if it’s a personality disorder, then the NHS are not obliged to deal with them.